Trailing 20-17 with just five seconds left, the Steelers arguably put their season in the hands of Le’Veon Bell and a wildcat formation. 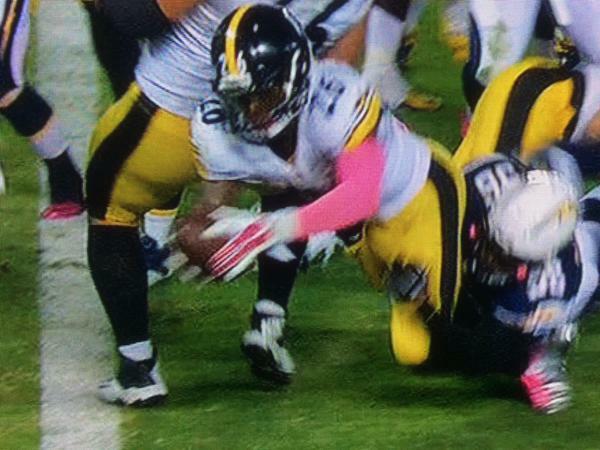 Armed with a timeout, the Steelers decided to gamble go for a touchdown and for the win. Mission accomplished. Pittsburgh Steelers radio play-by-play man Bill Hillgrove was on the call for Bell’s shocking score. The win keeps the Steelers above the .500 mark at 3-2 in the AFC North.